Enjoy Lowcountry living in this spacious home. 1 bedroom down, owner suite with sitting area and huge double closet, 2 spacious bedrooms and loft up, 3 full bathrooms. 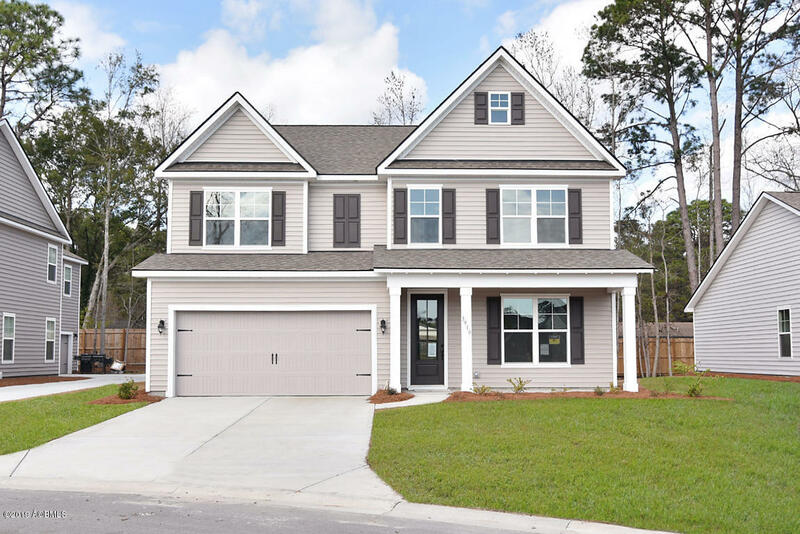 36'' dusk cabinets, tile back splash, granite counter tops in kitchen, stainless steel appliances and walk in pantry, hardwood flooring throughout all of the main living areas, oak tread stairs and tile in all wet areas. **Photos are representative**Pictures, photographs, colors, features, and sizes are for illustration purposes only and will vary from the homes as built.